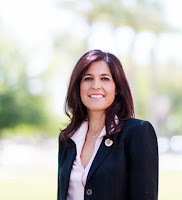 STATE CAPITOL, PHOENIX – The National Museum for the American Latino is one step closer to being established within the world-renowned Smithsonian Museum in Washington, DC, thanks to the leadership of Arizona State Senator Catherine Miranda (LD-27). Miranda introduced a resolution for consideration at last weekend’s National Convention of the National Hispanic Caucus of State Legislators (NHCSL) in Chicago, Illinois. The resolution, which passed unanimously, recognizes the numerous contributions to society and culture that Latino Americans have made since prior to the founding of the United States of America. “Hispanics are the largest minority in the United States, and have fought for America in every conflict since its inception. Their contributions have been under-recognized in history books, and in National museums such as the Smithsonian,” said Miranda. A report issued by The Smithsonian in 1994 titled Willful Neglect supports Miranda’s statement, confirming that Latinos are tremendously underrepresented throughout its institution. The resolution re-affirms NHCSL’s support and endorsement of the passage of two related bills, H.R. 2911 and S. 1364, which establish a National Museum for the American Latino within the Smithsonian Institution in the National Mall. These bills were created in 2011 in response to a bipartisan report by a commission created by then President George W. Bush and Congressional leadership to examine the need and viability of a Latino Museum within the Smithsonian.